A good tee shot over the right side bunker is essential to have any chance of getting home for two. 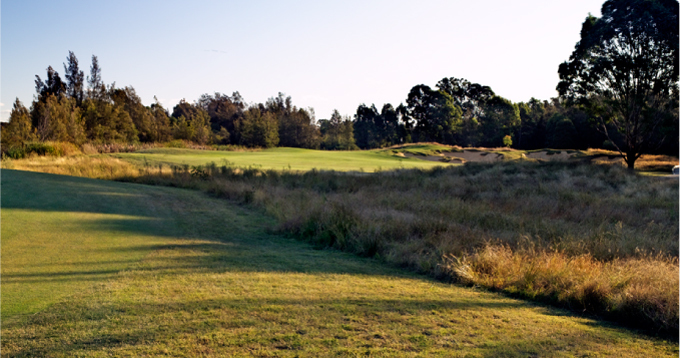 From the drive, the player has the option of laying up short of the creek or carrying the creek to a landing area just short of the green. 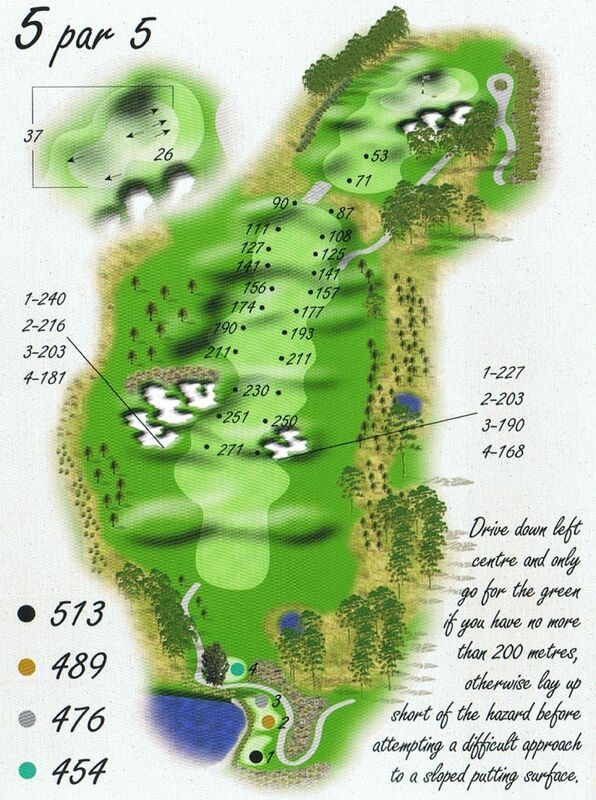 The green is quite heavily contoured and guarded by a large bunker on the right side approach.